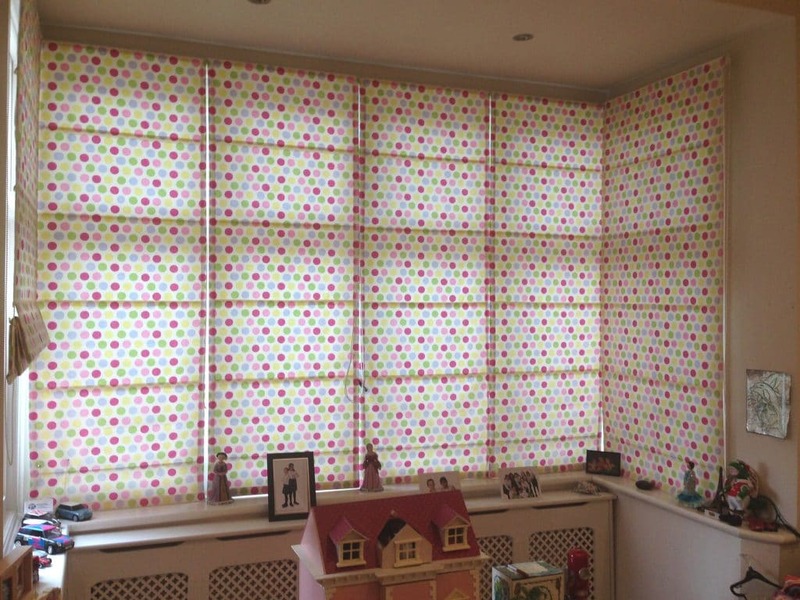 Blinds and curtains for privacy are more popular than the frosted type film which is permanent. 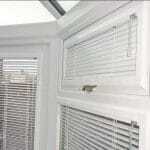 Most people want some degree of flexible cover on their windows during the day. 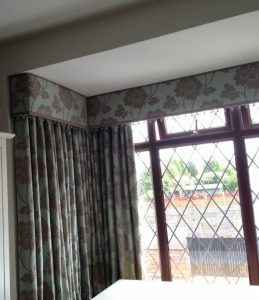 Bay windows can be a challenge to dress. One needs to consider the shape and the space around the window before researching what hardware it’s possible to use, and what treatment is possible. There are many different poles and tracks on the market and some cannot be used on all bays. Considerations such as bracket projections and type of bracket must be reviewed before a purchase is made. Poles can be bent, but only for certain shapes of bay, and often it’s the domain of a professional who can take the right measurments or take a template. By far the most challenging shape of bay to dress is the square bay. Roman blinds may seem a great option, but only if the width of architrave in the right angle of the corners allows the blinds to cover the glass. Gaps would look unsightly and let light through. Curtains are possible in square bays. However, a track at a sharp right angle to follow the window shape would not work as the curtain cannot easily be pulled around a 90 degree angle. A gentler bend in the track must be achieved and for this solution to work well, a wide board should be fixed above the window. The track is attached to the underside of the board. However, leaving it like this would look unfinished and ugly, so a pelmet is attached with velcro to cover the board and track. This treatment can really dress the bay with style and give it more importance. 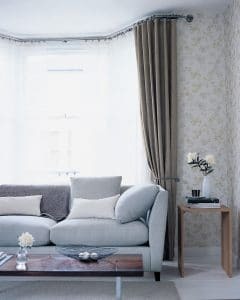 The look can be contemporary and simple, or more traditional with the use of decorative trims. 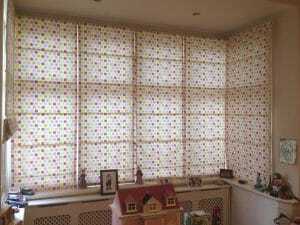 Simpler window treatments for bays include fixing roller blinds, Duette (pleated blinds), sheer panels, plantation shutters and Venetian blinds to name but a few. For splay bays, where the angle is more open, there is more choice. 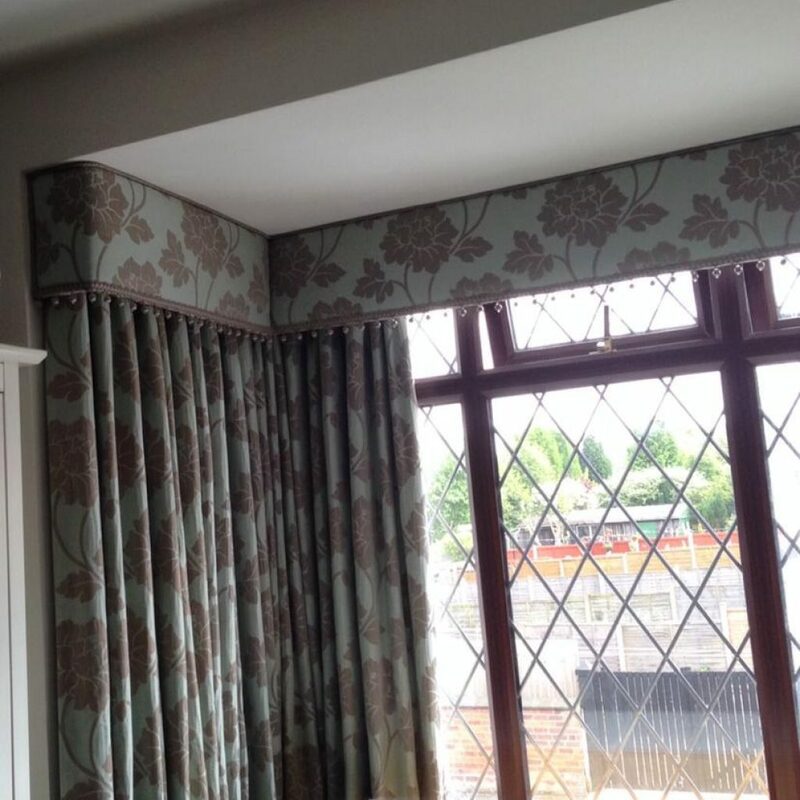 A decorative pole can be a great choice if wanting curtains. The most elegant poles have to be professionally bent. They also add architectural detail to a room. As more than three brackets are usually necessary, C pass rings (rings that are not a full circle) are needed so that the curtain can be pulled all the way around and over specially designed brackets.